Affordable iPod Recovery – All For One Flat Fee. Protech Data Recovery offers a ONE RATE fee; $385 for any iPod recovery service. And if we can’t recover your data for any reason, there’s no charge. No BS! 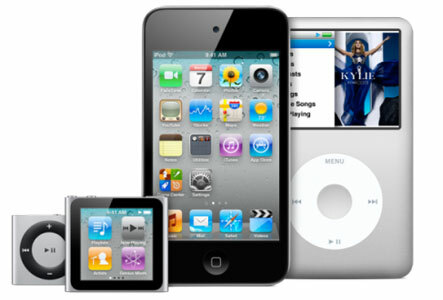 We Offer the Best Affordable Choice for iPod Recovery Services in the industry. Apple iPod’s are becoming more and more liked in people’s daily life, because it is simple to use and most importantly it is in fact very captivating. We can use it to listen to music, take photos, videos to capture the phenomenal moments and record the details of life, or keep important emails, documents, etc., with you on the go. Mistakenly deleted important documents on your iPod? Photos and music disappeared after iPod jailbreak or iOS update? iPod has suffered water damage or a drop? Don’t Panic. You’ve come to the right place. We will get back iPod lost music, photos, contacts, messages and more! Protech Data Recovery is one of the leading iPod recovery companies in the US today. We offer expert iPod recovery services for individuals, businesses alike. We use advanced proprietary data recovery technology and techniques to recover inaccessible data from nearly all types of Apple’s idevices, in any data loss situation. No matter what caused your iPod, iPod Touch, iPod shuffle, iPod nano to fail, we have the required skills, experience and specialized tools to successfully recover your lost documents, music, photos, videos, contacts, messages and other important information. From accidental formatting or deletion, to water and fire damage, our iPod data recovery specialists can retrieve damaged, inaccessible, lost documents, music, photos, videos, contacts, messages and other important information. So if your iPod, iPod Touch, iPod shuffle, iPod nano cannot power on, boot to the desktop, don’t panic. Most likely, your documents, music, photos, videos, contacts, messages and other important information can be recovered even when the memory is physically full or damaged due to an accidental format, accidental deletion or even water damage. Our highly trained iPod data recovery team has 10+ years of hands on experience in dealing with many device failures issues. If we can’t recover your data, there’s no charge, period! Affordable MP3 Player Recovery – All For One Flat Fee. Protech Data Recovery offers a ONE RATE fee; $285 for any MP3 Player recovery service. And if we can’t recover your data for any reason, there’s no charge. No BS! We Offer the Best Affordable Choice for MP3 Player Recovery Services in the industry. MP3 Players are becoming more and more liked in people’s daily life, because it is simple to use and most importantly it is in fact very captivating. We can use it to listen to music, take photos, videos to capture the phenomenal moments and record the details of life, or keep important emails, documents, etc., with you on the go. Mistakenly deleted important documents on your MP3 Player? Photos and music disappeared after MP3 Player jailbreak or iOS update? MP3 Player has suffered water damage or a drop? Don’t Panic. You’ve come to the right place. We will get back MP3 Player lost music, photos, contacts, messages and more! Protech Data Recovery is one of the leading MP3 Player recovery companies in the US today. We offer expert MP3 Player recovery services for individuals, businesses alike. We use advanced proprietary data recovery technology and techniques to recover inaccessible data from nearly all types of MP3 Players, in any data loss situation. No matter what caused your iPod, ScanDisk Clip Sport, Sony Walkman, Eclipse Fit Clip Plus, Trio Mini to fail, we have the required skills, experience and specialized tools to successfully recover your lost documents, music, photos, videos, contacts, messages and other important information. From accidental formatting or deletion, to water and fire damage, our MP3 Player data recovery specialists can retrieve damaged, inaccessible, lost documents, music, photos, videos, contacts, messages and other important information. So if your iPod, ScanDisk Clip Sport, Sony Walkman, Eclipse Fit Clip Plus, Trio Mini cannot power on, boot to the menu display screen, don’t panic. Most likely, your documents, music, photos, videos, contacts, messages and other important information can be recovered even when the memory is physically full or damaged due to an accidental format, accidental deletion or even water damage. Our highly trained iPod data recovery team has 10+ years of hands on experience in dealing with many MP3 Player device failure issues. Affordable Digital Photo Recovery – All For One Flat Fee. Protech Data Recovery offers a ONE RATE fee; $285 for any Digital Photo recovery service. And if we can’t recover your data for any reason, there’s no charge. No BS! We Offer the Best Affordable Choice for Digital Photo Recovery Services in the industry. Most Digital Photo cameras do not wipe digital pictures from your storage media when you delete images or use the format command. If your digital camera storage media is corrupt and you get the message “Media is not formatted would you like to format now?”, lost picture recovery may still be possible. Stop what your doing and call us. We have over a 90% success rate on full recoveries. Mistakenly deleted important documents on your Digital Photo Device? Photos and music disappeared after Digital Photo Device Firmware or iOS update? Digital Photo Device has suffered water damage or a drop? Protech Data Recovery is one of the leading Digital Photo recovery companies in the US today. We offer expert Digital Photo recovery services for individuals, businesses and professional photographers alike. We use advanced proprietary data recovery technology and techniques to recover inaccessible data from nearly all types of Digital Photo devices, in any data loss situation. No matter what caused your Digital Photo media to fail, we have the required skills, experience and specialized tools to successfully recover your lost documents, music, photos, videos, contacts, messages and other important information. From accidental formatting or deletion, to water and fire damage, our Digital Photo data recovery specialists can retrieve damaged, inaccessible, lost documents, music, photos, videos, contacts, messages and other important information. So if your Digital Photo (SD) memory card cannot be recognized by the computer, mounted in your camera or card reader, don’t panic. Most likely, your Digital Photo can be recovered even when the memory card or USB flash drive is physically damaged due to an accidental format, accidental deletion or even water damage. Our highly trained Digital Photo data recovery team has 10+ years of hands on experience in dealing with many device failures issues. We will provide you with the best possible assistance. Get FREE Data Recovery Diagnosis for your digital player or digital camera now!